With 67% of enrolled voters counted in yesterday’s Western Australian election, the ABC’s election computer was giving Labor 36 of the 59 lower house seats, to 11 Liberals and 5 Nationals. Of the seven doubtful seats, I expect the Liberals to overtake narrow current Labor leads in two seats on late counting. If that happens, Labor will win 38 seats to 21 for the Liberals and Nationals, a reversal of the 2013 result (38 Liberal/Nationals, 21 Labor). Primary vote shares were 42.8% for Labor (up 9.7 points since the 2013 election), 31.4% for the Liberals (down a massive 15.7 points), 5.4% for the Nationals (down 0.7), 8.5% for the Greens (up 0.1), a disappointing 4.7% for One Nation and 7.2% for all Others (up 1.9). As post-election day votes are processed, I expect Labor’s share to drop slightly, and the Liberals and Greens to slightly improve. No statewide two party result has been provided by the Electoral Commission, and this will not be known until after all other results are finalised. At the time of One Nation’s last peak from 1998-2001, they won 9.6% at the 2001 WA election. After polling in the 12-13% range early in the campaign, One Nation’s vote slumped to 7-9% in the final polls. Polls may have overestimated One Nation as they were only standing in 35 of 59 lower house seats. There were two reasons for One Nation’s loss of support late in the campaign. First, the preference deal with the Liberals damaged their brand: it is hard to be an anti-establishment party if you deal with an established major party. Second, One Nation’s policies received more exposure in the closing days, causing some One Nation supporters who disagreed with the party’s far right agenda to desert. The preference deal with One Nation also had dire consequences for the Liberals. While the Liberals were behind prior to the deal, it did not appear that Labor would win a landslide before the deal was announced. The fallout from this deal will mean that the Coalition parties and One Nation, in other states and federally, will be more reluctant to trade preferences. 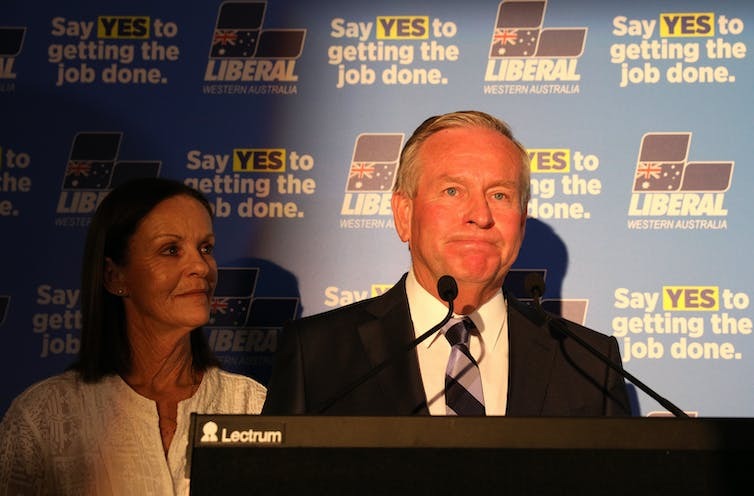 Barnett was deeply unpopular, WA’s economy was weak, and the unpopular Federal government was a drag. These factors made a Labor win probable, but the deal with One Nation probably exacerbated the Liberals’ losses. 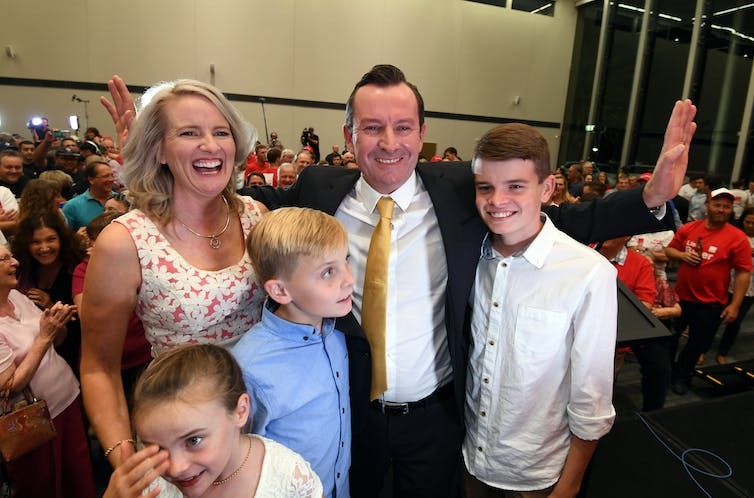 This will be Labor’s first true landslide in any state or federally since 2006, when Labor had landslide wins in Victoria, Queensland and Tasmania. By “landslide”, I mean not just defeating the opposition, but thrashing them in both seat and vote terms. That Labor won a big victory in the most conservative state at Federal level will make it even sweeter for them. Polling appears to have underestimated the Greens and Labor’s primary votes a little, and overestimated One Nation. Galaxy and Newspoll had the Liberals and Nationals about right, but ReachTEL overestimated their vote. While 67% of enrolled voters for the lower house have been tallied, only 47% has been counted in the upper house. The WA upper house is severely malapportioned, and still uses the group voting ticket system that was abolished in the Senate. Using the group voting tickets, the ABC is currently predicting Labor to win 15 of 36 upper house seats (up 4 since 2013), the Liberals 9 (down 8), the Nationals 4 (down 1), the Greens 3 (up 1), Shooters 2 (up 1) and One Nation, Liberal Democrats and Fluoride Free are currently predicted to win one seat each. The ABC currently gives one seat to Daylight Saving, but Kevin Bonham spotted an error. The Daylight Saving candidate in Mining and Pastoral region is actually the Shooters candidate. With the upper house count well behind the lower house count, these results may change. However, currently Fluoride Free is winning a seat in East Metro region on just 0.35%. A quota is 1/7 of the vote, or 14.3%.